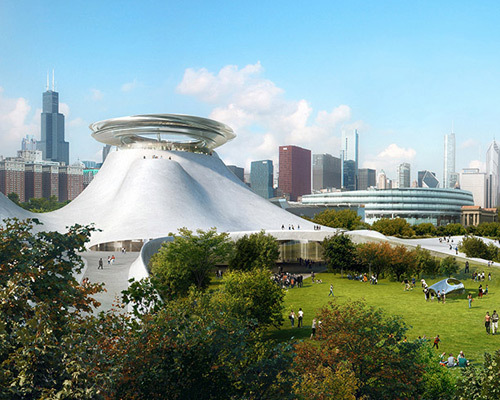 to follow up on their commission for the design of george lucas’ museum of narrative art, MAD architects has revealed the first renderings of their mountain-like scheme to be located along chicago’s waterfront. the project’s concept builds upon the firm’s repeated interest in blending nature with urbanity, by blending building and landscape forms to create a sloping structure surrounded by green park space. the building is comprised of three levels of exhibition space organized in continual loops. 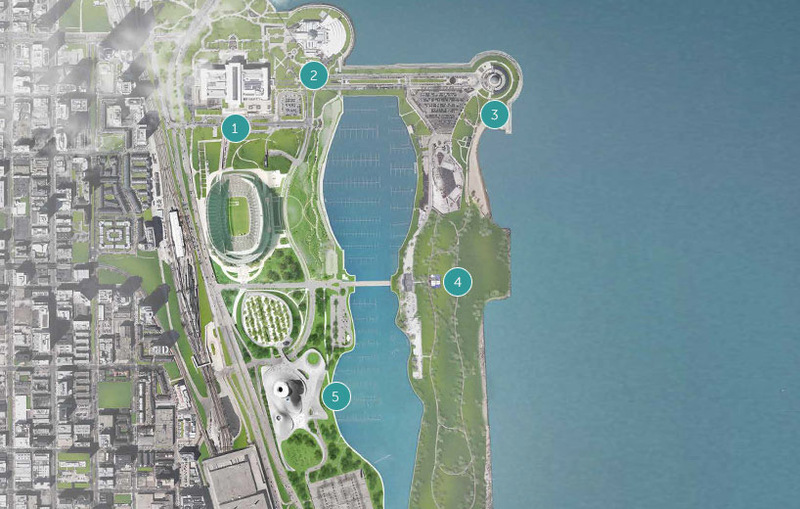 the white conical mass is topped by an elevated disc at the peak, which is to contain an observation deck offering 360º views toward the city and adjacent lake michigan. 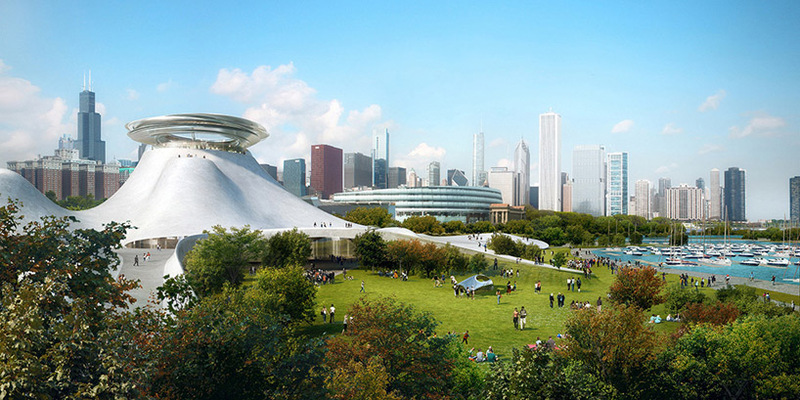 MAD architects is joined by local firms studio gang and VOA associates for the design of the lucas museum. for more information on the future narrative art facility and its project team, see designboom’s previous article here.